Drive down a quiet country lane, tree lined drive and over a winding creek to this authentic Cape Cod home nestled amidst towering oak & hickory trees. Charm, character and VIEWS prevail throughout this 4 BR & 3 BA home featuring a stone and freshly painted exterior, flowing floor plan, sunlit rooms, hwd flooring, 2 FPs, French doors & leaded glass windows. Classic center entry opens to Living Room with large lannon stone FP and flows to Dining Room, three Season Room, Kitchen & Den/Office. All rooms are carefully oriented to capture the views...relax and enjoy the privacy, nature and wildlife on this spectacular property. Four spacious Bedrooms include a first floor MBR with three sides of windows. Casual living space & room for hobbies can be found in the lower level REC Room, work shop & attached heated 2 car garage. Only 3 owners in 65 years for this lovingly preserved home! 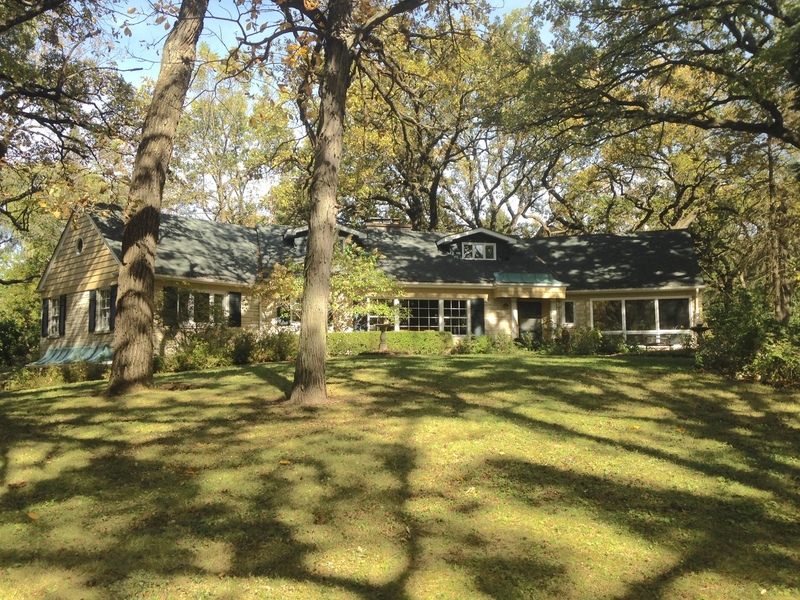 Peaceful country living within minutes to town, Metra train, award winning schools and horse trails nearby.